Home / Group Exercise Ideas & Tips / It’s Good to Be Back! 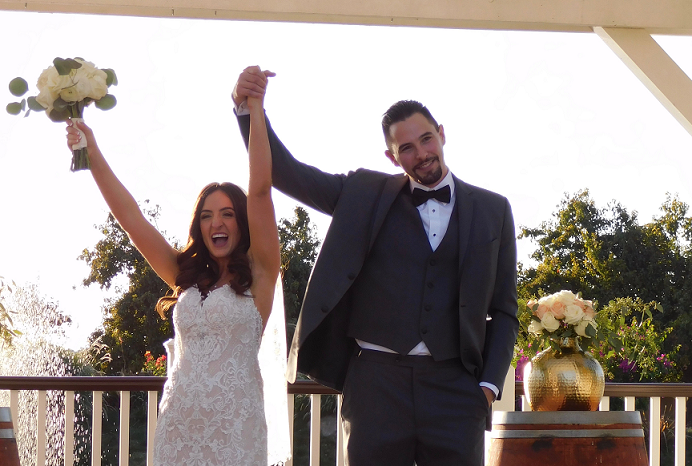 After a year of getting married, honeymooning across Europe and getting a new job in San Francisco, I’m finally back to blogging! With all the excitement, I couldn’t keep up with a regular posting schedule, but I look forward to getting into the swing of things again this year. Back up. What Have You Been Up To? Well, I got married to my rock star husband Chris in October. The whole day was absolutely special with so many fond memories. I particularly enjoyed the ceremony where my husband (to my surprise) cried as I walked down the aisle, we snuck in a few Eminem song lyrics, and recited our vows in front of all of our friends and family. The reception was filled with dancing, margaritas, and so much love. The day after the wedding, we jetsetted off to Europe for a three week vacation in Paris, London, Germany, Italy, and a handful of other spots. I am truly thankful for everyone that celebrated with us, planned with us, and helped us start our marriage bursting with happiness. Finally, after more than four years at The Hoffman Agency, I found a new big girl job doing content strategy and creation for a startup in San Francisco. I started earlier this month, and am anxious to get the ball rolling to accomplish our goals. I’m hoping to post more regularly now that my life is starting fall back to normal. I have a few exciting ideas for 2018, as well. If you’d like to connect, please reach out on Twitter or Facebook.